Today the German based cruise operator TUI Cruises has taken delivery of the Mein Schiff 3 which is a new generation of cruise ship. 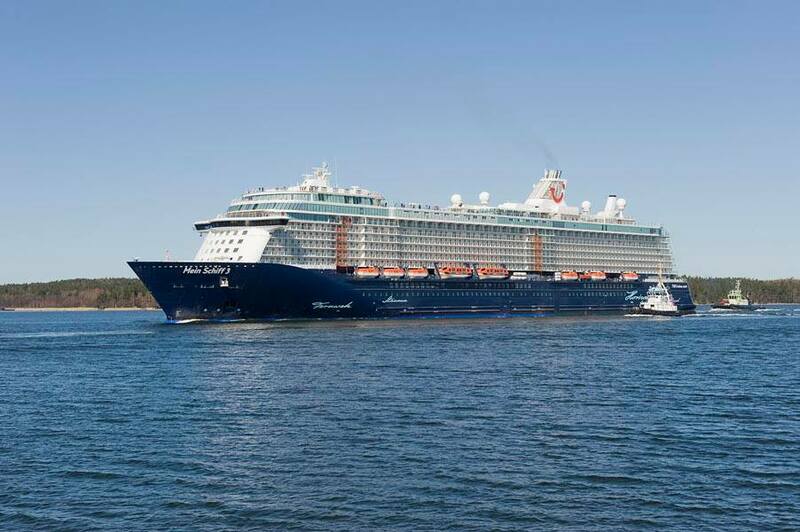 STX Finland delivered the new class cruise ship Mein Schiff 3 to TUI Cruises after over a year of different phases of construction which started back in November 2012. A year later the ship was floated onto water for the very first time and then just days ago there was a huge christening ceremony by Helene Fischer in Hamburg, Germany along with a huge christening party with fireworks. Mein Schiff 3 will begin its maiden voyage on June 13th 2014 from the port of Hamburg to Palma de Mallorca. Mein Schiff 3 has been constructed for the German market and will be popular choice for German cruisers. The ship offers some new features at sea including the first ever 25-meter swimming pool and a three deck theater show lounge which has all the latest technology and lighting. The new ship is 99,500 tons but looks a lot bigger than it is! It can also sail with 2,500 passengers and 1,000 crew members. There's nothing better than watching a cruise ship makeover and transforming to join a new fleet. British based Marella Cruises has done just that with a stunning new time-lapse video. German-based TUI Cruises which is owned by Royal Caribbean has ordered two mega Liquified Natural Gas (LNG) powered cruise ships from the Italian shipbuilder Fincantieri.